September was a really busy month! I had a lot of stuff to do at my day job, since we were going through a major transition and that was pretty stressful. But outside of that, I had so many plans before the month even began -- and every single one of those plans was real exciting! 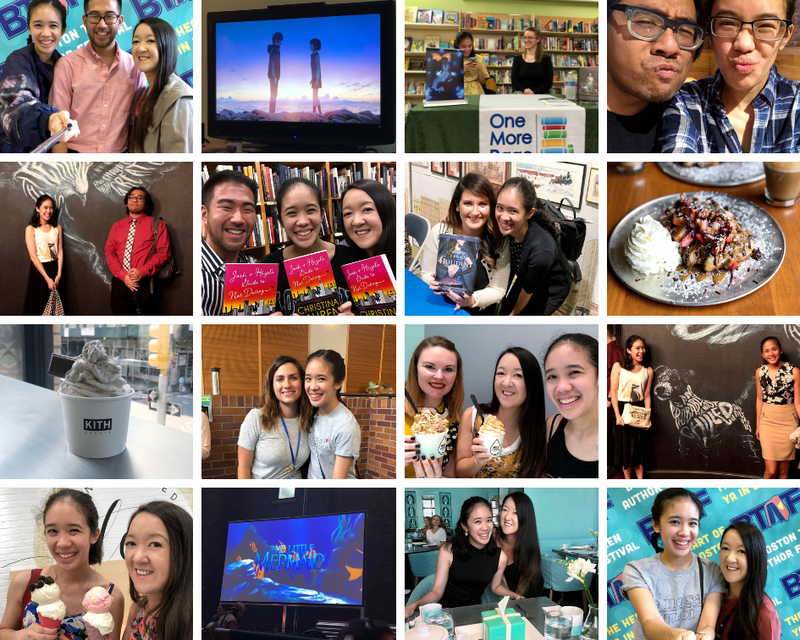 From foodie dates to themed get-togethers, out of town trips (Virginia, Boston and the one Macky & I are just finished up in Orlando) and book events, it's been such a great month! I still didn't read as much as I expected to during the month of September, clocking a total of _ novels. My favorite reads were Shadow of the Fox by Julie Kagawa (so much like an anime y'all, and easily my favorite read of this month! ), Blanca & Roja by Anna-Marie McLemore (such a beautiful, lush modern fairytale), The Resolutions by Mia Garcia (friendship & resolutions that change their lives) and A Very Large Expanse of Sea by Tahereh Mafi (perspective of a teen Muslim girl dealing with the aftermath of 9/11).